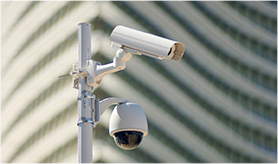 From surveillance cameras to precision monitoring equipment, SWEMCO has the capacity, manufacturing flexibility and technical know-how to provide your company with a competitive edge. Working on solely a consultative basis or a comprehensive design and production engagement, our SWEMCO engineering and production teams can help turn your business concepts into marketable products. SWEMCO designs and manufactures the Power Controllers utilized by a leading glass manufacturer in its global glass making facilities. 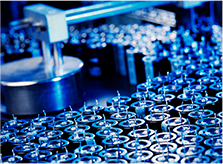 SWEMCO works closely with their global logistics and plant management to assure world class precision controllers are available to the field when required. For more than twenty years, SWEMCO has supported Honeywell requirements in a variety of disciplines, commodities and services. These services include printed circuit card assembly of prototype volumes; electro-mechanical assembly of the chart recorder thermal pen in production quantities in excess of 10,000 per year; and complete warehouse operations, including warranty, service, spares and stores.